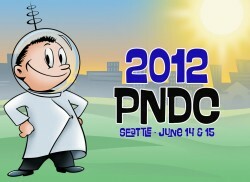 Last Friday Dr. Martin took the staff to the Pacific Northwest Dental Conference in Seattle. We had the opportunity to browse the latest and greatest dental gadgets and products and take a class or two. Bridgette took a class that gave great insight into preventing cavities, Shannon and LeAnn took a class on perfecting (already awesome) customer service skills. We all had a great time and learned something new. Dr. Martin makes providing you excellent dental care in Lynnwood her top priority!